Mumbai: Backing the controversial film 'The Accidental Prime Minister' which is based on former Prime Minister Manmohan Singh, Bollywood actor and BJP MP Kirron Kher on Saturday called it "a cult and path-breaking film". Talking to reporters, Kirron, whose husband and film actor Anupam Kher plays the lead role of Dr Manmohan Singh in the film, said,'It is a cult and path-breaking film. Those who talk on freedom of speech i.e Rahul Gandhi, must now practice what he preaches.' The actress also said that it should be India's official entry to the Oscars. 'Anupam told me people will fall in love with Manmohan Singh ji," the BJP MP said. 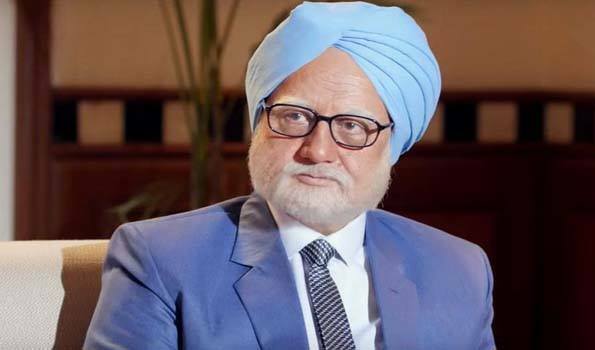 In appearance, Anupam Kher aces as Manmohan Singh, while Akshaye Khanna plays the role of Sanjaya Baru, who was Manmohan Singh's media advisor from 2004 to 2008.